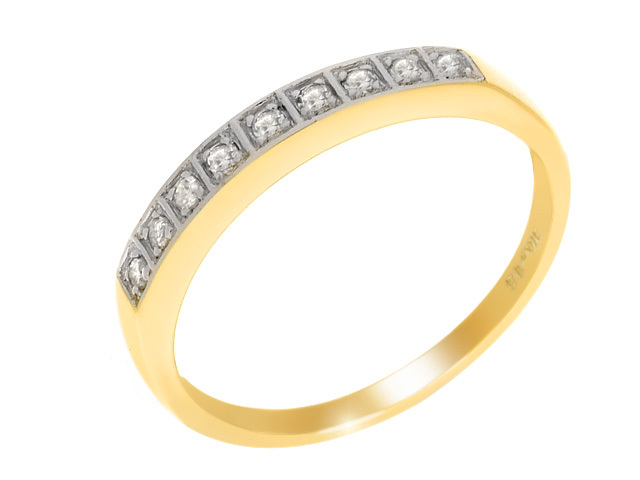 9 Carat Yellow Gold, Diamond Eternity Ring A stylish ladies yellow gold eternity ring. Eternity design ring set in polished 9ct yellow gold with seven full cut diamonds in pave setting. A Diamond is: The Birthstone for the month of April Zodiac stone for Aries , 21st March - 20th April Given as the 10th, 60th and 75th wedding anniversary stone An Eternity ring is: traditionally worn on the third finger of the left hand either a half or a full circle of diamonds on a band of platinum, yellow or white gold set with precious stones, usually diamonds. 14K W Gold Paraibe Apatite and Diamond Ring Size O 6.000 Ct.